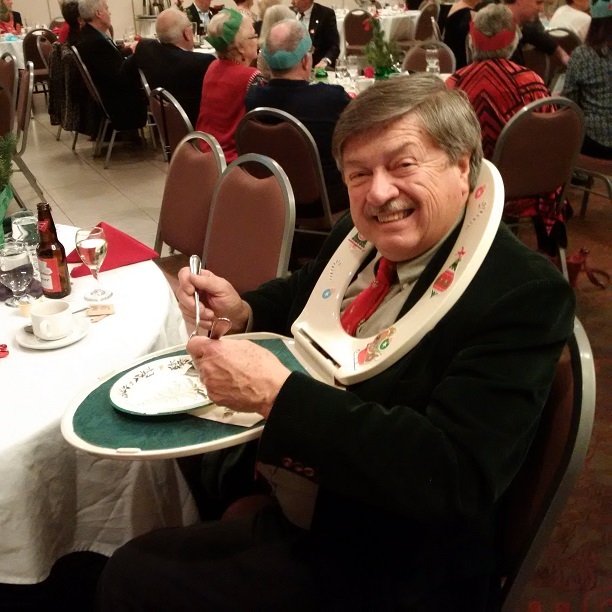 Rotary Christmas Party - On Wednesday December 20th the Rotary Club of Burlington held their annual Christmas Party at the Holiday Inn. The fellowship committee did a fantastic job organizing the event. One of the annual traditions , is the Secret Santa game. Each member brings a wrapped gift and members select and trade based on pre-defined rules. It's all in good fun. Shown below is Karel Sury wearing the lovely toilet seat he received as part of the game.